A lot of quailty trout are on the move at Islandderry Fishery, Dromore with the majority of anglers releasing double figure amounts of fish. 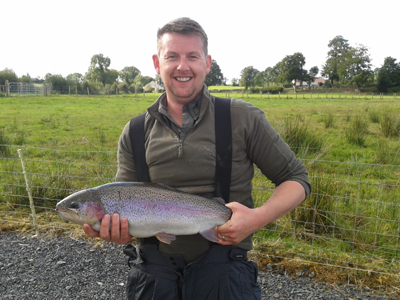 Gavin Rogan from Drumaness with a six pound rainbow trout caught at Islandderry Main Lake. Father and son Rab and Davy Clements, Banbridge, had a good couple of days with well over 40 trout between them in two outings. Rab then returned on his own to release 27 fish on a Dwal Bac and a floating line, with two of these tipping the scales at 7lbs each. Other good catches of the week went to Paul Brown, Dromore, who landed 20+ fish on a White Sleetch, his smallest weighing in at 3lb and his best 8lb. Ronnie McFadden, Lisburn, fished for a couple of hours on Sunday to release 20 fish with his best at 9lbs. The Hollow Springs Lake is also producing good catch rates with Steve Goodbarn, Donaghacloney, releasing 37 and Lee Carson, Waringstown, releasing 30. The next competition is the start of the Winter League on Saturday 27 October with a first prize of £400 cash and a prize fund totaling the value of £800. 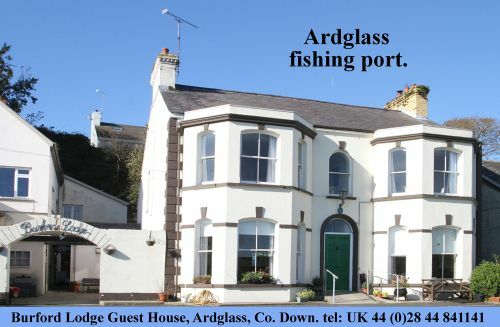 The competition is open to all and will be fished over the winter months with one round per month. For more information or to book contact the fishery on 07859 074424 or visit Islandderry Fishery on Facebook for details on the upcoming events.